Have you ever made oobleck? 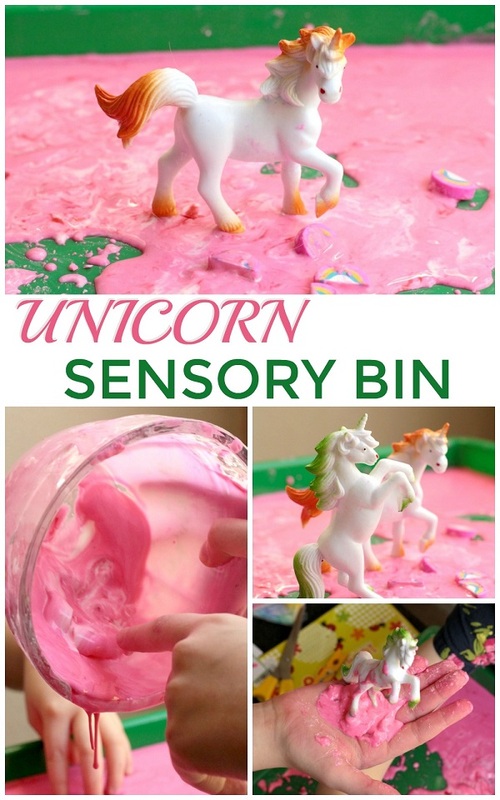 It’s a mix between slime and a sensory tub and provides a wonderful way to explore science hands-on for preschool and kindergarten kids. 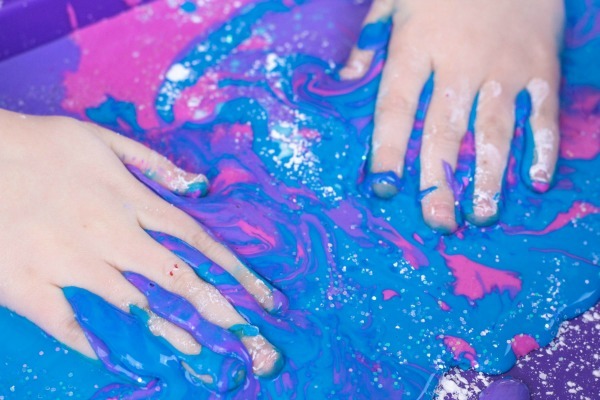 Try this fun galaxy oobleck version for a kid-pleasing twist that puts the art in STEAM! 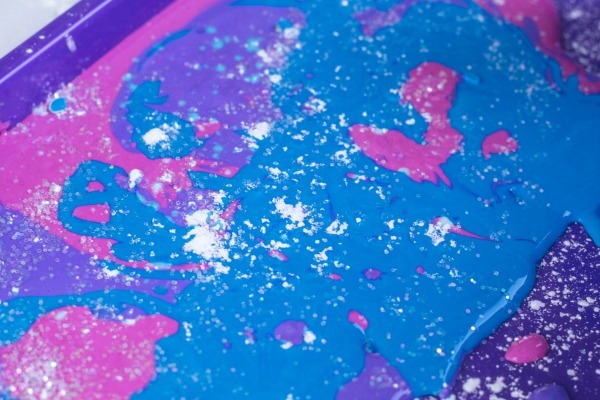 The galaxy colors are a fun twist on this classic oobleck science experiment. 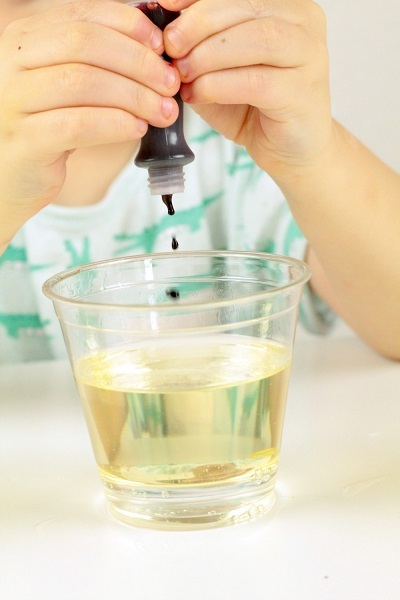 I love how simple this kids' activity is to set up – it only requires a few items you likely already have in your kitchen. 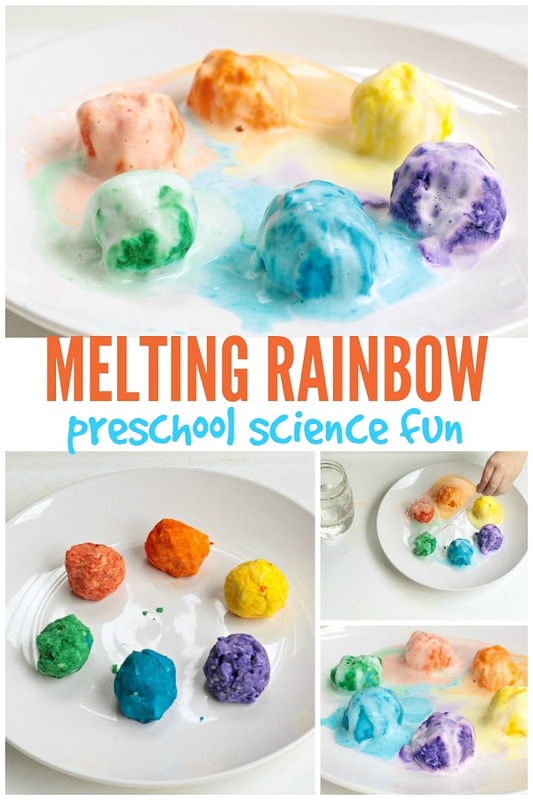 It's perfect for busting boredom during summer break, on rainy days, or as part of a science center. What Makes Oobleck So Special? Oobleck is known as a non-Newtonian fluid, which simply means that it has the properties of a liquid and a solid at the same time. Apply pressure, and it freezes up. But relax, and it drips off your fingers like a liquid. Making oobleck is a fun way to explore non-Newtonian fluids, and kids love playing with the goop. 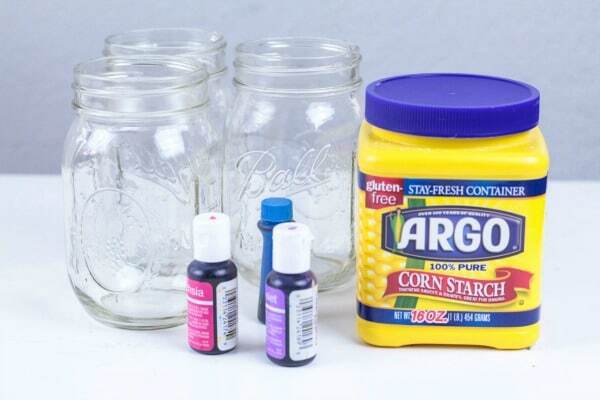 Mix about a cup of cornstarch and about ¼ cup of water into each jar. 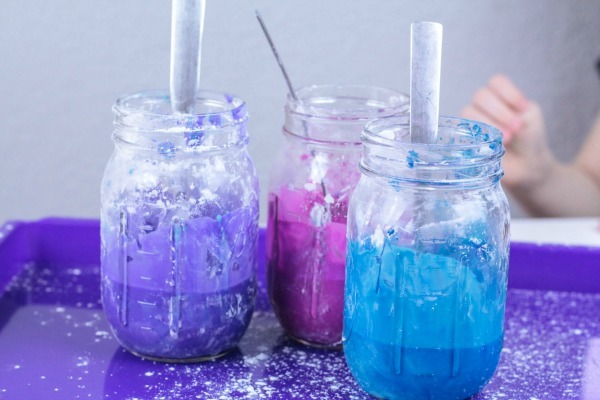 Add one color of food coloring to each jar. NOTE: You’ll know if the oobleck is the right consistency if it is hard when you press it but slides off your fork or spoon when you let it drip. Add more cornstarch or water to make this consistency. Mix in the food coloring. Pour the oobleck one jar at a time onto the tray. Let it drip and mix to look like a galaxy. Sprinkle the galaxy with glitter. 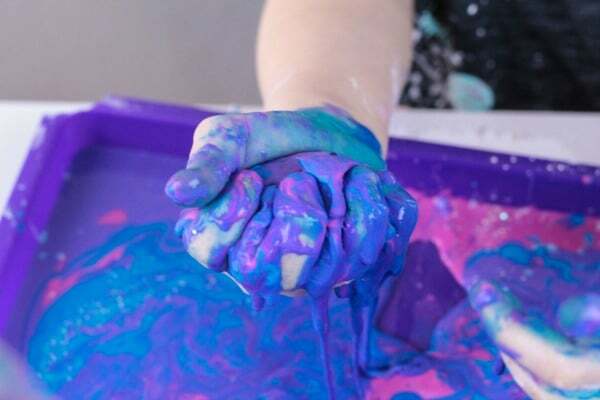 Show the kids how to hit it to make it seize up and relax their fingers to let the oobleck ooze out. Eventually, the oobleck will turn into a sort of magenta color, but mixing it is half the fun! 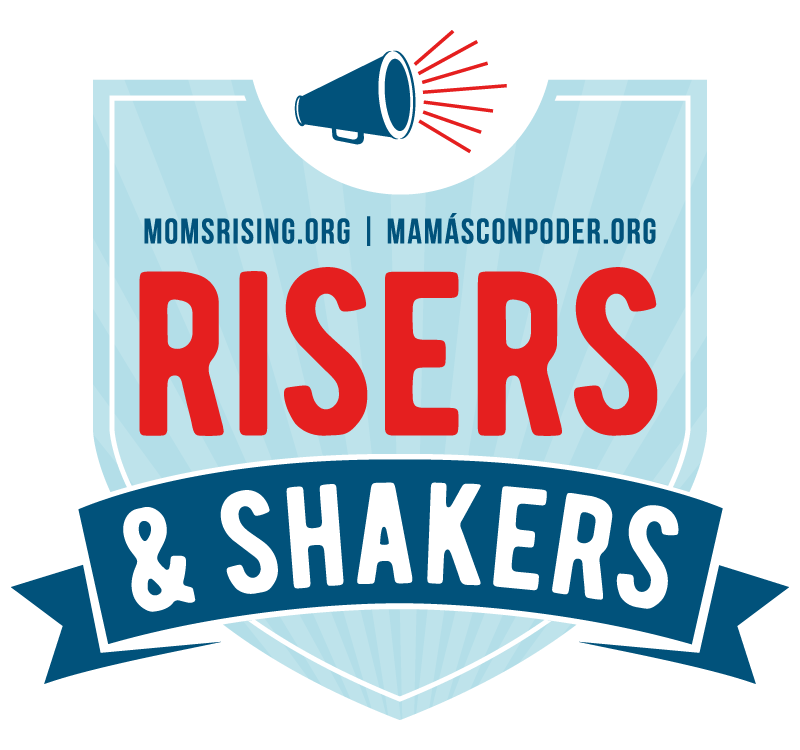 While the kids are having hands-on fun playing with their galaxy oobleck, ask them for their observations. For example, how it feels when they clutch it in their hand, when they press it down, and when they relax their hand. You can also ask them about the colors they see and how it changes the more it gets mixed up. My kids love making oobleck! It can get a little messy, but it is easy to clean up once it dries. 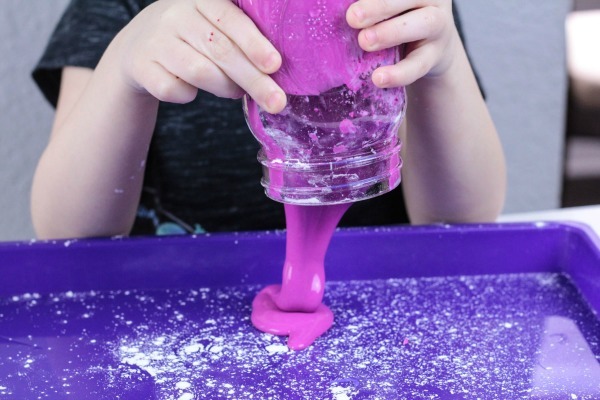 We hope you try this activity and make galaxy oobleck with your children. 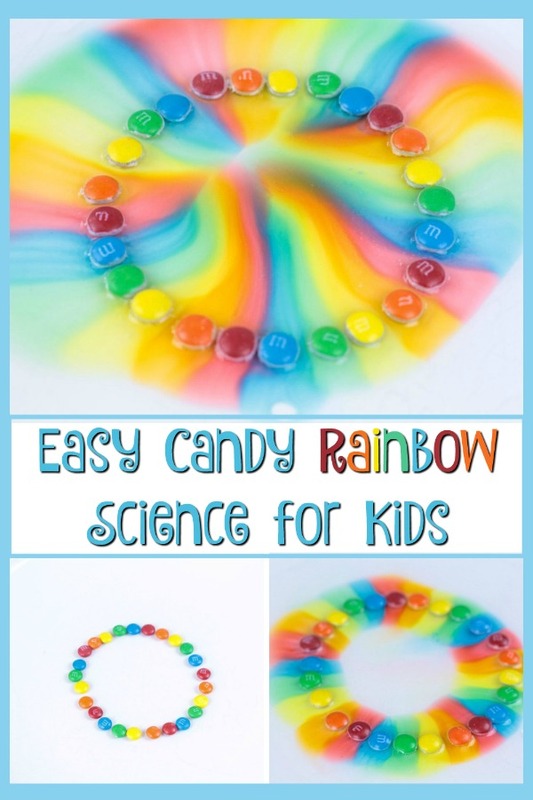 It's a great indoor activity and would be a fun addition to a homeschool science unit or a classroom project. 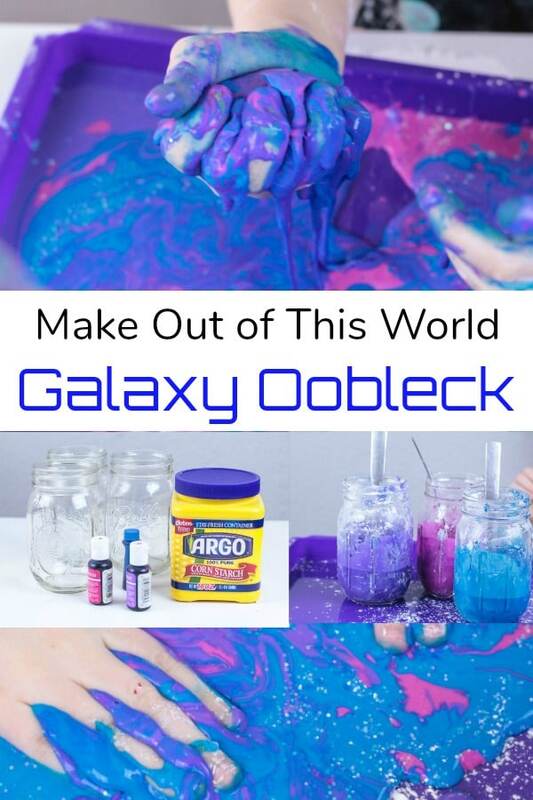 So, if you need a fun activity to keep your kids busy while sneaking in some learning, then grab your supplies for this galaxy oobleck!